More details of grenade attack are awaited. Kulgam: A grenade attack on a CRPF party near Palladium lane at Lal Chowk, Srinagar, injured three CRPF personnel, four J-K police personnel and four civilians on Sunday evening. The area was cordoned off. More details were awaited. Meanwhile, the five terrorists killed earlier in the day have been identified. They are Waseem Ahmad Rather, Aqib Nazir Mir, Parvaiz Ahmad Bhat, Idrees Ahmad Bhat and Zahid Ahmad Parray. As per police records, it was a combined group of Hizbul and LeT. Police are still trying to ascertain their exact affiliations. 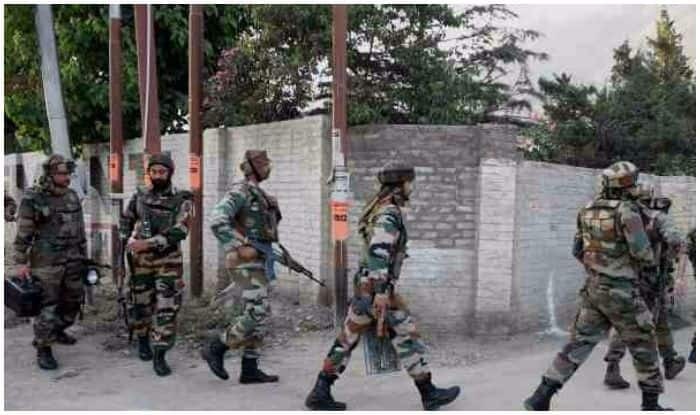 The encounter had broken out in the morning as terrorists fired upon a joint team of Indian Army’s Rashtriya Rifle, SOG Kulgam and Central Reserve Police Force (CRPF) personnel during a cordon and search operation in the area after receiving inputs about the presence of terrorists. Mobile internet services were also suspended in the area. Irfan Ahmed Sheikh was affiliated with LeT and was known as district commander of the outfit for Pulwama. “Irfan Sheikh had a long history of terror crimes for which several terror cases were registered against him. He was involved in conspiring and executing several terror attacks on security establishments in the area including grenade attacks,” a police spokesman was quoted as saying.